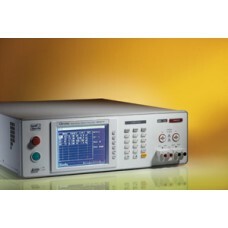 The 19032/19032-P are 5 in 1 Production Safety Analyzer. It can perform AC/DC Hipot, insulation resistance, grounding resistance and dynamic leakage current 5 safety test functions for electronic products. The dynamic leakage current scan device (A190305/A190307) can be connected externally or built in to 19032 Series. It is capable of measuring the complicate safety requirements with easy installation and operation, and is the finest auto safety tester to increase production test efficiency. 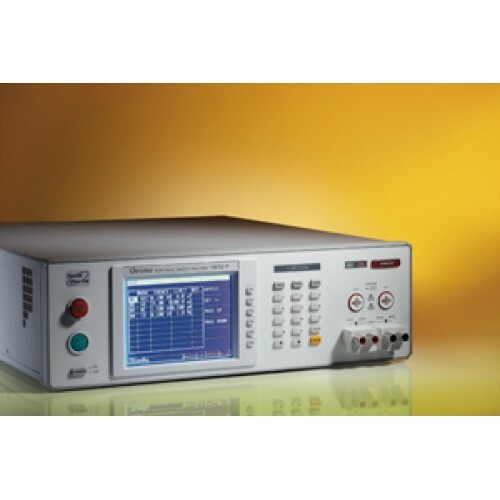 Model 19032/19032-P have Twin-PortTM and OSC function to minimize the test time greatly; along with the super large screen display and intelligent operation mode, 19032 is the most powerful single unit for auto safety tester.